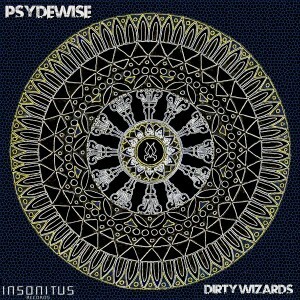 Insonitus Records is proud to present Dirty Wizards, the debut release from Psydewise out of South Africa. Featured here is a dark and groovy blend of tech and progressive styles shaped into smooth, psychedelic journeys. Get your growl on! Artwork by Splund with mastering by Anti-Logic, Berlin. MP3 Download | FLAC Download | WAV Download · Download count: 7,473.
a pretty flawless execution of ‘dark prog’. the production is great.